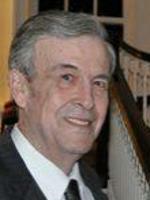 BALLSTON SPA – Roy C. Frederick, 75, of Ballston Spa, passed away on Sunday, September 20, 2015 at Albany Medical Center Hospital. Roy was born and raised in Albany, the son of the late Roy A. and Mary E. Keenan Frederick. During his career he lived in Rutland, VT, Liverpool, Greene, and Ballson Spa, NY He was a 1958 graduate of Vincentian Institute, and a 1962 graduate of Siena College. He was employed for many years by the Grand Union Company, and retired as Northeast Regional Vice President. He was a devoted fan of the New York Yankees and of the Siena Saints Men’s Basketball Team, holding season tickets to the Saints for 25 years. He also was a fan of horse racing and loved to visit the Saratoga track. Roy is survived by his beloved wife Carol A. Purtell Frederick; his children Sharon Frederick of Greene, Michael Frederick (Heather) of Seneca Falls, Timothy Frederick of Climax, and Roy Frederick (Stacy) of Charlotte, NC; his sister E. Nancy Wiley of Albany; his brother Thomas Frederick (Wilma) of Ballston Lake; his grandchildren Matthew (Danielle) Barton, Evan, Spencer, & Aidan Frederick, his great granddaughter Lily Ann; and by his sisters-in-law, brother in law, his cousins and many nieces and nephews. Funeral services will be held in the Hans Funeral Home, 1088 Western Ave., Albany, Saturday morning at 8:15, and from there to All Saints Catholic Church, 16 Homestead St., Albany at 9:00. Relatives and friends are invited, and may call at the funeral home Friday from 4-7 pm. Interment will be in St. Agnes Cemetery, Menands. To leave a message of condolence for the family or obtain directions to the funeral home, please visit www.HansFuneralHome.com. Sharon and Frederick family….my sincerest condolences on your loss. May he RIP. Very sorry for your loss. Know there are lots of people thinking of you all. Peace be with you Roy. Your professionalism and ethics touched many people. I am glad I had the privilege to have known you. Prayers and thoughts to your family. Roy and I grew up together on Warren Street – many years ago. So sorry he is no longer with us; my he rest in peace. My condolences to his family. I am very sorry to read of the passing of Roy Fredericks. He and his family were part of my St Margaret Mary school days and VI. My brother Bart went to school with Nancy. I enjoyed visiting with him and his wife Carol at the reunions. I will keep all of the family in my prayers. I was on Western Avenue. Roy was up by Fuller road before it got crazy traffic. I am sad for you all. I guess it was Warren St.
Said it already, and I’ll say it again, your one of the best!…..